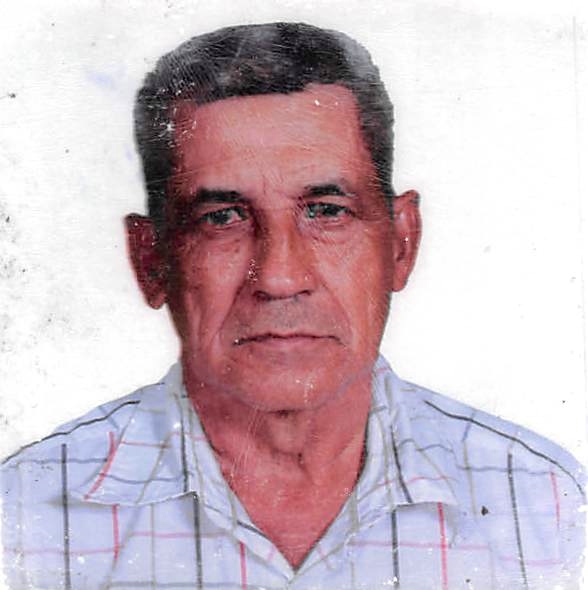 Agustine Antonio Fuentes Joya, 76, of Trinity, passed away on April 2nd, 2019 in High Point NC at Wake Forest Medical Center. Agustine was born in El Salvador to Raymundo Fuentes and Maria Angela Joya on May 5th, 1942. He worked as a Brick mason and was self-employed for most of his life. Agustine is preceded in death by his mother Maria Angela Joya, his father Raymundo Fuentes and his wife Hilda Villarreal. Agustine is survived by his sons, Jaime Pascual Fuentes, Henry Antonio Fuentes, Lucio Alberto Fuentes, Modesto Nahum Fuentes and Javier Alexander Fuentes, his daughters Dora Alicia Fuentes, bertha Hilda Fuentes, Maritza Jemny Fuentes, and Maria Delos Angeles Fuentes, his brother Samuel Fuentes, Agustine also leaves behind twenty three grandchildren. Funeral services will be held from 7pm to 11pm on Friday April 5th, 2019 at Mt. Sinai Church located at 210 Fourth Street, High Point NC 27260. Rev. Efrain Machado will be officiating.